Once a seasonal meat, turkey has become one of the most popular meats to include in a menu year round. Breast meat, the most in demand of the turkey cuts, should be handled with care and minimally processed to preserve a great juicy taste. Crown Meat & Provisions Inc.’s turkey boasts the great quality your customers expect. No matter the quantity of turkey your menu requires, we have a solution for you. 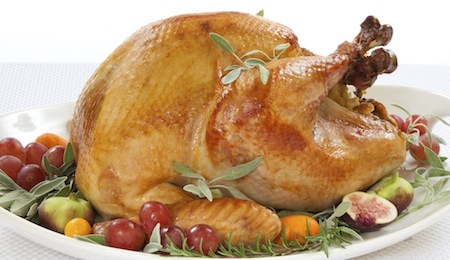 Michigan Turkey Producers is one of our clients’ favorite brands of turkey. This brand specializes in breast meat and offers a cut that is low in saturated fat, and high in protein, satisfying the dietary needs of your health-conscious customers. They also provide pre-seasoned turkey for a fast solution in the creation of a simple dish that your customers will love. Michigan Turkey Producers provides breasts, fillets, wings, drumsticks, and thighs to satisfy your menu. Crown Meat & Provisions Inc. offers delivery based upon the needs of your kitchen. We also offer will call for pickup at your convenience. We pride ourselves on great customer service and would be pleased to discuss your turkey needs. A solution today will serve you year-round, as we offer the same great meat no matter the season. We know your patrons need consistency in order to become loyal customers. We serve many of the restaurants, hotels, wedding venues, country clubs, supermarkets and delis in Coachella Valley and Southern California. Place an order today for healthy protein-rich poultry that your customers will love.